On my way to back from working in Asheville, North Carolina, and after dining in really excellent restaurants in Asheville, I wasn't ready to give into the typical fast-food available on the highways across the USA. Luckily, as myself and a co-worker were approaching the lunchtime hour, we were closing in on Knoxville, TN where I heard of the Soup Kitchen Express for years. I decided that I would like to go there for a little TLC and a break from the road. The Soup Kitchen Express is less than 1 mile south off off I-40 at the Cedar Bluff Blvd exit in TN. It was so easy to get to. We took the exit off the highway heading south on Cedar Bluff Blvd, cross over Kingston Pike, and take the very 1st right into the parking lot of the strip mall. It was grey, cool and stormy day in East Tennessee, and it was wearing me out driving in those conditions and nothing sounded better than a bowl of hot soup to take the damp chill off the day. We got in the restaurant, and I noticed it is cafeteria style. Standing in line, there was a cool case with salads in it, but there appeared that these were not a popular item on this rainy day. It seemed that if you get a bowl of soup, you can get a giant piece of bread or a really great old fashioned grilled cheese made with white American cheese on white bread. If you want reduced fat soy cheese on whole grain wheat bread, you are out of luck. The elderly couple sitting next to us opted for the giant piece of bread each, and they only managed to eat part of one chunk of bread. The gentleman called over an employee and told her that the bread portion was way too big, and they could save a little money by cutting down the size of the bread they give each patron. There were about 8 or 9 different soups offered this day. One woman behind the counter said that the soups were made fresh daily. It is possible the soup base might be canned veggie, chicken or beef stock, but the veggies looked like fresh and hand cut, and the veggies did have crispness to the tooth that suggested fresh veggies are used in the soup. I could not decide on just one soup, so they let me have two half bowls at the cost of one bowl. I got a veggie bean in veggie tomato stock, and a cream based seafood chowder. 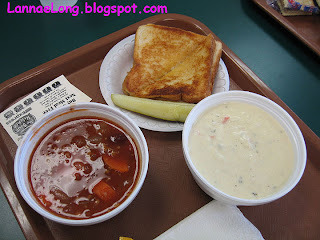 To accompany these 2 fine soups, I got the great old fashioned grilled cheese sandwich. That sandwich was toasty on the outside and oozy good on the inside. I could imagine this is what kids ate with delight in the 1960s and 1970s. I ate it first, never stopping to dunk it into my soup. My veggie bean soup, although all veggie, was quite hearty with a tomato soup base that seemed to mimic the classic combo of the grilled cheese and tomato soup combo that Campbell's had promoted for many years. The seafood chowder was good too, but by the time I got to eating it after the grilled cheese and veggie bean soup, I was already full. I am already working on my next strategy on how to order the perfect soup and grilled cheese lunch. It may be a small side salad, grilled cheese and a half bowl of soup. Believe me, this is going to be a regular stop for me when I am traversing the state of Tennessee from east to west or west to east and I find myself near Knoxville around the lunch hour. I have had this many hits in 2 years. That is a lot of hits. I love Dim Sum. I love the little dishes with little treats in them. Dim Sum is a kin tapas. There are a lot of different flavors to be had. 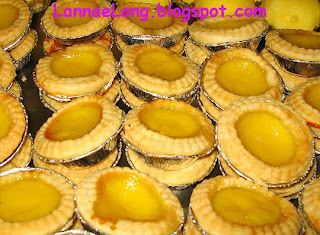 I have been to great Dim Sum in Boston, New York, San Francisco, Los Angeles, Chicago and Houston. As you notice, these are all really big cities in the USA. Here in Nashville, we don't have any on most any normal day. But, one day a week ago, two organizations offered an evening of dim sum at Fulin's. Fulin's doesn't normally offer dim sum, so they made a special buffet table for the social event. The organizations are the National Association of Asian American Professionals, and the Tennessee Asian and Pacific American Bar Association which organized this outing. As long as I have lived in Nashville, I have met less than a handful of Asian Americans until I was introduced NAAAP. I have never met any Asian American attorneys in Nashville until this Dim Sum dinner and mixer. The people were great and I met a bunch of new people that I had not met before. NAAAP and TAPABA were created by young professionals who craved to build a professional community of like minded people. One of the creators of NAAAP moved here 2 years ago, and like me, never saw an Asian person at work or in his neighborhood. He knew there had to be Asian professionals in Nashville, but how do you find them? So he started the Nashville Chapter of NAAAP, and worked to look for members to join in. The organization is open to anyone, and part of the mission are to connect accomplished professionals for mutual professional success. Social events like this certainly helps connect people. I got to connect with a lot of new people. I met one who loves to play tennis, and another who just moved here from Memphis. Memphis told me there are a few places in Memphis that serves real dim sum. I gotta keep that email and get the names and addresses of the restaurants next time I am in Memphis. I met another who has lived here in Nashville for most of his life, and recommended a new Korean restaurant to me. I met some others who are married now, but met on a blind date. They are definitely thankful for their friend who set them up. I met another who looks like a surfer-dude, but don't let the Jeff Spicoli looks fool you, he is quite bright and managed to get a free ride to both undergrad and MBA. Yeah, I am not really blogging about the food. 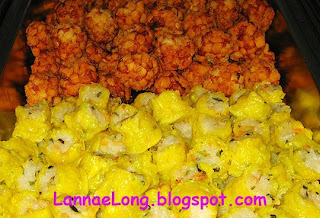 The deal was Fulin's got a lot of frozen dim sum style food, and heated them up for us. There really wasn't any food to write home about. But, that isn't really why I went. I just wanted to meet nice people, and find out a little about them. OK NAAAP and TAPABA, when are we meeting again? I don't normally blog about chain restaurants because the food usually isn't that good, and the base ingredients are usually bland industrial food service products. 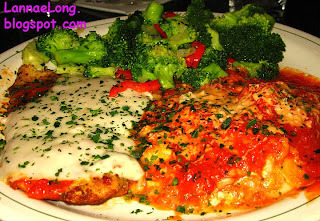 But, today I am blogging about Carrabba's for 2 reasons: 1. it is one of the only large chain restaurant I like eating at, and 2. Carrabba's offered me a complimentary dinner for two for this spring. Since I actually like this chain, and my household always says that this chain's food is just better than it needs to be, I took the offer and off we went to Carrabba's in Green Hills. We got there on a Friday at 8 pm, and it happened to coincide with the Friday before the Marathon on Saturday. The place was hopping with marathon runners looking for a decent carbo-loading meal. I am assuming the runners eating here probably thought similarly to me. That is to say that pasta at other chain restaurant aren't that good, but Carrabba's is, so Carrabba's for carbo-loading it is. It was really crowded, more crowded than normal (20,000 runners + families looking for food), over an hour wait, so we decided to sit at open seating at the chef's bar. Knowing that there was a huge pre-marathon crowd, we seemed to be served well despite how hectic it was. We ordered our favorite starters, the sausage lentil soup and the calamari Ricardo. The sausage lentil soup is really good, and it is a soup of the day, so they don't serve it all the time. I wish they would because it is really good. We were lucky to be there on the day that the lentil soup was being served. The squid doesn't look like much, but really it is tasty and good. 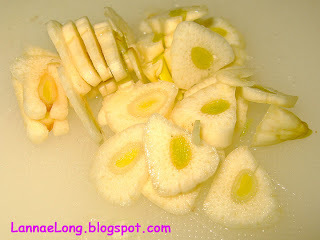 The spicy and lemony dipping sauce is always good, and the batter on the squid is seasoned very well. 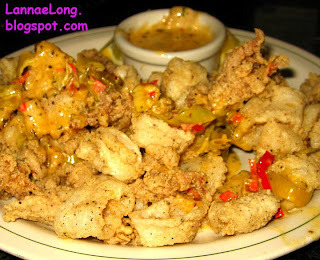 I gotta say this, for fried calamari, I prefer Carrabba's calamari over most other restaurants. For example in contrast, I recently was a Ming Tsai's Blue Ginger and ordered his famed Cooking Under Fire fried calamari with Thai dipping sauce which costs 50% more than Carrabba's. 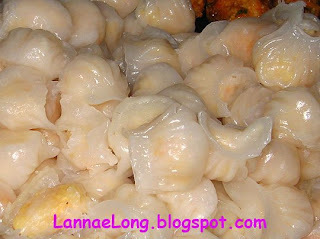 Tsai was actually there overseeing his kitchen, so I am not sure why this dish was so bad. Tsai's batter was not seasoned and tasted like raw flour, it was under cooked, and the Thai sauce was like a liquid salt-lick without any of the subtle notes of a good fish sauce, without citrus for brightness, and without any pepper for a little heat that Thai food is known for. I am still miffed that I paid to eat 3 bites of that dish, but I digress. Carrabba's calamari Ricardo wins, and for years now, I actually like the calamari Ricardo better than others. For entrees, Matt got a "Carrabba's Classic" of chicken parmesan and lasagna, and I got the lobster ravioli. Luckily this lobster ravioli happened before my food tour of Boston because they were only ok, and I had fabulous lobster and seafood meals in Boston, and I would have been let down if I had these on the backside of the Boston trip. I was hoping that the daily menu would have the mushroom ravioli that I really like, but I was out of luck. I did not want pasta with red sauce, or a ton of meat, I wanted Carrabba's mushroom ravioli. I think the mushroom ravioli should be a standard item on the menu, not just a special. Anyway, the lobster ravioli were over salty, and did not seem to have a real lobster flavor to them. Next time, I am calling ahead to see of the mushroom ravioli is on board. Matt's dish is the one that is currently being showcased on the Carrabba's website as the "Carrabba's Classic". I just wanted to contrast the photos from the website and the same plate that was served in real life. I think that plating and presentation falls short at most chain restaurants, and most plating looks like someone just plopped food on the plate. Presentation is one factor that sets apart careful chef owned plates , and plates piled by a wage-grade hired hand. Despite how the lasagna was plated with only the top half of the square, and then plopped on the plate flat making for a questionable presentation, it tasted good. 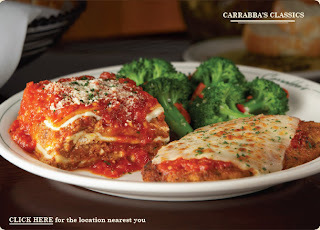 In general, everything at Carrabba's tastes better than you would expect. I also gave this evening's staff a little slack too for being slammed with marathon runners. When were getting ready to leave, Eric Martino, location owner, came by to see how our dinner was, and we let him know. The reality is that the staff did quite well for being slammed with so many patrons. They seems to time our apps, salad and soup and entrees well. They got every part of our order correct. The staff was friendly even in the food frenzy of feeding hungry runners. Actually, I think the service was nearly just as good as if they weren't slammed by carbo-loading marathoners. I was going to say that next year I am going to stay home the night before the marathon, but I don't have to worry about such a thing at Carrabba's because the staff did such a great job and they were hitting on all cylinders. In May 2007, we tried an experiment to see how it would be to eat locally raised food for one whole week, with the luxury items of salt, rice and coffee. For meals at home, we were able to eat within the confines of the experiment, and then at the end mostly local organic with a few other ingredients thrown in. The result was that nearly every meal we make has a local organic ingredient in it, or more. Now that it is summer again, and we are part of the Hungry Gnome CSA, most of our meals are nearly 100% local organic now. The benefit of local veggies in our household is that they are picked the day I get them, and they last in the fridge for a LONG Time! I have time to cook them and eat them. 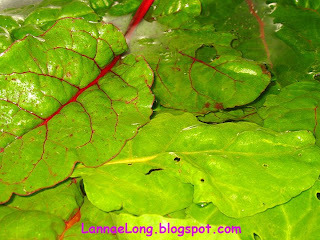 I had a bag of bag lettuce greens last nearly 3 weeks and could have gone longer had we not eaten it all! Try keeping a store bought bag for over 3 weeks, and you will have a science experiement growing. We also have been getting our meats from Mamushi Farms from Franklin, a small livestock farm that sells at the Franklin Farmers Market. The Tennessee Onion Soup was so good last time, I decided to try making it with beef soup bones (traditional French Onion Soup is made this way) instead of chicken, from Mamushi Farms. The spring onions I got were from Jones Farm (I think, a vendor at the Franklin Farmers Market), and water I got from the Cumberland River via the Metro Watere Authority. The braising greens were quickly sauteed in olive oil from the Olive Press, then the garlic scape pesto was stirred in to finish the dish. The salad was Hungry Gnomes spring mix with Hungry Gnomes radishes-diced and slivers of Jone's spring onion. 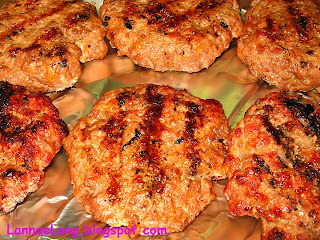 The burgers were Mamushi lean ground beef mixed with a little of the hot sausage they make, and them cooked on our wood burning grill out back. We don't have a propane grill once we figured out that wood and coals makes everything taste better. I understand how propane is fast and easy, but we like what real wood adds to our food and we sacrifice ease for flavor. Put scapes and walnuts into a food processor (or mince to desired texture with a rocker blade) and stir in olive oil until it looks like what you want, then add a little salt and pepper to taste. I made about a pint of this pesto, and later on I used it on pasta and then sprinkled grated aged cheese on the pasta. Mmm Mmm Yumm! 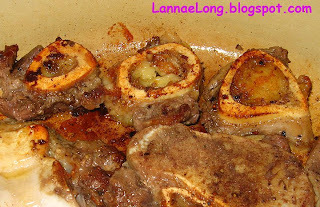 I have actually rarely started stock from beef soup bones, so this was and experiment for sure. I did not look on the internet for help, nor Alton Brown's book of techniques. First I heard Jason Brumm's voice saying that he never starts stock with beef bone because you can't extract enough flavor out of them, and if you do, it takes too many and too much time, as he once told me 2 years ago. Pa-shaw, then I heard Anthony Bourdain's voice, literally because I have City Confidential on my iPod. As I jogged that morning listening to Tony, I heard Tony say, C'mon people, making stock is not that hard. All you need to do is toss some bones and mirepoix in a pan, roast them, get those roasted brown bits to flavor your stock, start boiling and reduce, reduce, reduce. I decided to listen to Tony. Yeah, it is work, but the rewards of home made stock will win every time. This stock I made for the base of the Tennessee Onion Soup I made, I am really proud of. I made it from a 30 second description that Anthony Bourdain said in a book on iPod. I made it nearly blind to any technique. It worked out for me, and I can brush off Jason's nay saying for now, and hope next time it wasn't just beginners luck. The burgers I made were inspired by one of Oprah's food finds. She had been going to eat a burger every week near her home because it was the best burger she has had. The secret the chef said was that it was made with ground beef and sausage. I do not care much for plain hamburgers, so when I heard sausage, the lightbulb went on above my head. Mamushi's ground beef is quite lean, probably 95-97% lean, so a little fat from some sausage wouldn't hurt to make a burger taste good. I made up the mix of 1 lb beef and 1/2 lb sausage, and made really nice big burgers for us to eat during the week. Delicious. This week, what is on the menu? All locally grown veggies: roasted root veggies over hickory wood, salad with radishes and spring onion, and sauteed spinach. I will make fresh Lazzaroli tagliatelle with garlic scape pesto topped with Scotts Hams' hickory smoked bacon . I need to go to the Farmer's Market and see what meats I want to get for the week. Eating locally just tastes and feels so good! I finally figured out a good use of YouTube for me - the 1980s videos. Here is the 1st one I am linking to. The situation: it was Saturday evening, I just got off a plane from a week in Boston, and Matt picked me up. In the front seat of the car was Jim Myers' The Rage article about City House. Matt said he had been driving around for days with the article, and the photo of real brick oven pizza. He had been looking at the pizza, waiting for a good time to get it, and see if it was any good. I hesitated. I was just quite busy in Boston for the week, but I took every opportunity to eat at fantastic restaurants for lunch and dinner, and I had a wonderful Boston food tour. I did not want to be let down from my Boston food high by going to a "poser" restaurant. I have been burned before by people who told me restaurants are good, but I should have known better because their "good standard" is Olive Garden or Applebees. 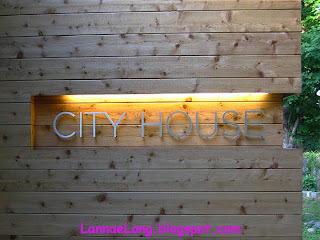 But, a trusted food blogger I call Nashville Hole-in-the-Walls, had spent time in Boston, and said City House is good. NHitW told me that City House could hold its own next to any Boston North End restaurant. If anyone has been to the Boston's North End, it is one of the most serious Italian food places in the USA. Matt's look on his face was of earnest, and with evidence from Jim Myer and NHinW, I gave in, and said ok.
My expectations were not high because I just had the best tapas, Chinese, pizza, Thai, seafood, New England clam chowder, and Asian American fusion the Boston area has to offer. I just needed calories at this point because I had not eaten since the morning. We got to City House directly from the airport, and the building is a lovely old Germantown building that was re-habed to be this beautiful restaurant. It felt really great to walk into the entrance of this historic building. It did not feel like I was in Nashville (because so many restaurants are in strip malls) and I just was suspended in a different time and place. Upon entering, I asked to be seated near the open kitchen, so I could see what was going on. Tandy Wilson, owner and chef of City House was front and center with his apps and sides guy to his right and his entree guy to the left. These three were like a 3 piece orchestra working without speaking, yet making incredible music in harmony. Occasionally, there was was a 4th guy taking away used pans, and replacing them with clean ones, and he too was part of the orchestra. The menu was short, and was about doing a few things well. The drink menu was fun. We ordered drinks, homemade Italian Sausage, and pizza. We sat their watching the show. Our food came out, and wouldn't you know it, we had our friends seated right next to us! There is nothing better than breaking bread with friends. Wouldn't you know it, Tom Lazzaro and his lovely dining companion was seated right next to us! As you know from previous blog posts, Lazzaroli is the best local pasta maker in Nashville, with reasonable prices on his pastas. He also has many excellent Italian ingredients for sale too, like olive oils, truffles, San Marzano tomatoes, salamis, cheese, crackers, Italian canned goods, vinegars, etc. A couple weeks ago, a friend went in looking for whole wheat pasta to have a carbo-load party before a 62 mile (a metric century) bike ride the next day. Lazzaro did not have that much whole wheat pasta, sent the friend away for a few hours, and made up a nice big batch of fresh whole wheat pasta for the event. If you want fresh pasta, Lazzaro is the guy. Tom also helped me out after I was stopped by border cops and had all my French charcuterie confiscated as I re-entered the country. Tom set me up with Italian style facsimiles of what I lost. I skipped happily home with a few dried salamis and all was better. Back to the City House food, it was great, and certainly could hold its own in the North End of Boston. I was definitely happy we dined at City House for my 1st meal back from my culinary week in Boston. The salad, simply was dressed with excellent olive oil, lemon juice, salt and pepper with freshly toasted fresh almonds and excellent Romano cheese. The salad was simple, excellent and we ate it with gusto. A fine salad, and possibly the finest salad in Nashville. 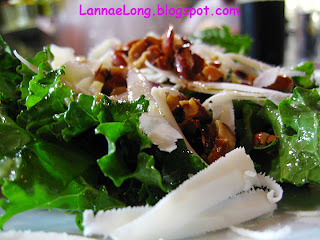 It reminded us of the salads we had in France, simply made with the best ingredients. Matt got the pizza, and we watched Tandy make it. 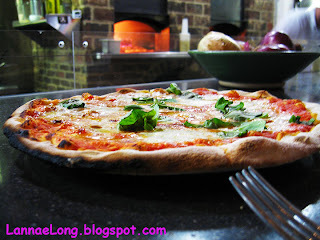 It was hand stretched dough, a nice sauce and fresh mozzarella that went into the real wood brick oven. He finished off the pizza with some hand torn basil. Each pizza is baked differently because of the variability in the wood oven. Our pizza was really good, and was made in an Italian tradition. Matt had spent some time in Italy, and recalls the pizza there was bread lightly brushed with a sauce, and maybe a smattering of cheese on top. It was not the pound of cheese and crappy dough the chain pizza places have, rather the pizza was more like City House's pizza. It is our preference to have more of a char on the crust, so next time we will ask for an extra minute in the oven. The Italian sausage was made with DW Farms pork. I got to know the family from DW Farms last year, and they compassionately raise their live stock and veggies, and they are super nice. Tandy bought a whole hog from DW Farms and broke it down, like a good old world cook would. I am impressed that Tandy did not waste anything of the hog. Tandy made his Italian Sausage from one of the DW hogs, and the sausage is the best Italian sausage I have had in Tennessee. Do I dare say it? I think City House is now one of my favorite (if not my favorite) dinner spots in Nashville. I wrote it, now what do I do?